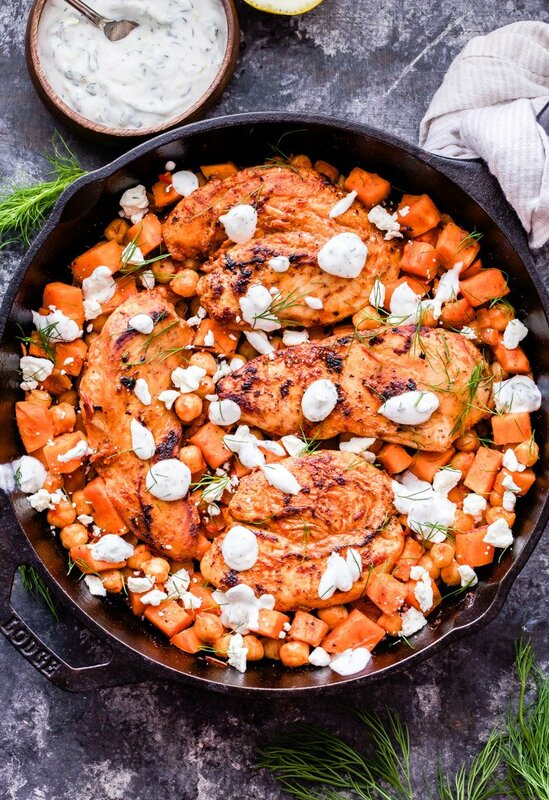 Harissa Chicken, Sweet Potato and Chickpea Skillet is a simple, satisfying and super flavorful dinner perfect for busy nights. 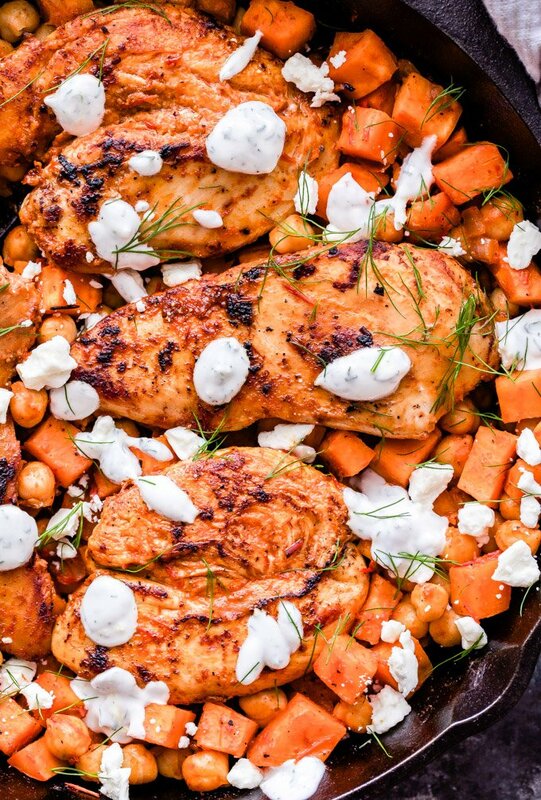 Spicy from the harissa sauce, but balanced out by the sweet potatoes and cool, creamy, herb yogurt sauce. I’m back at it working on new skillet dinner recipes for you guys. A lot of you seem to be like me and want a quick cooking, flavorful dinner, with minimal dishes to wash. Let’s be real, does anyone enjoy standing in the kitchen cooking dinner for more than 30 minutes after a long day at work? I haven’t met anyone, so please introduce me if you know of these people, I have so many questions. 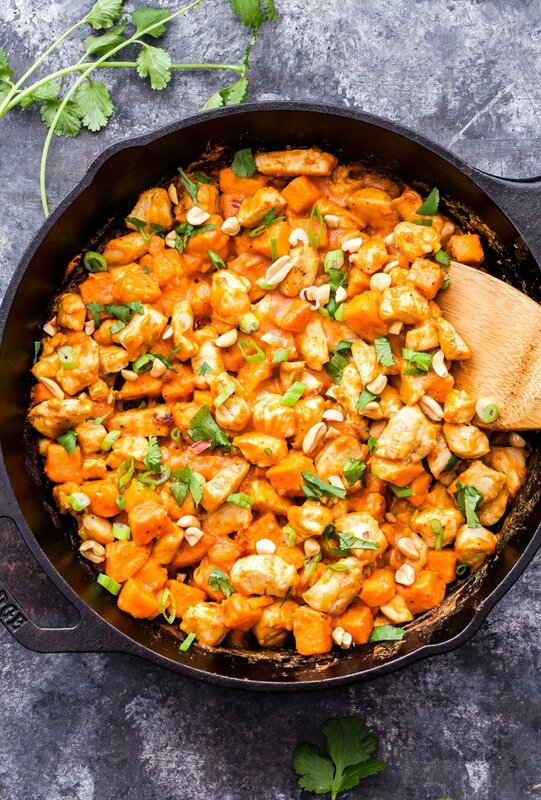 I think you’re going to like this latest and greatest skillet recipe, Harissa Chicken, Sweet Potato and Chickpea Skillet. If you’ve never had harissa you’re in for a treat! It’s a sauce made up of chile peppers which are often smoked, garlic, olive oil and spices such as cumin, coriander and caraway. Harissa can be mild or hot depending on the chile peppers that are used. It generally will tell you on the jar just like salsa, so you can choose whatever heat level you’d like. 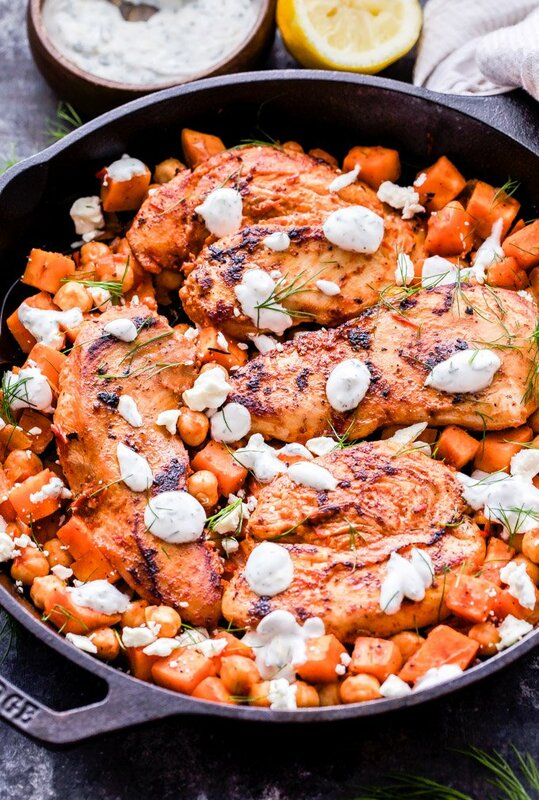 If you do go the spicy route, which I would never tell you not to, the sweet potatoes and cool creamy herb yogurt sauce on top will help balance out all the heat. To cut back on some of the cooking time, I par-cooked the sweet potato in the microwave. All you have to do is peel it, put it in a microwave safe dish, add a little water to the bottom, cover it with plastic wrap and poke a hole in the top, then microwave for 3-5 minutes or until it’s slightly tender. Not only does this cut back on the cooking time in the skillet, but it ensures that the potatoes don’t burn on the outside and remain raw on the inside. While you prep your vegetables for the recipe, let the chicken breasts marinate in the harissa, cumin and coriander. I only marinated mine for about 15 minutes, but if you want to work ahead you can even do it the night before. 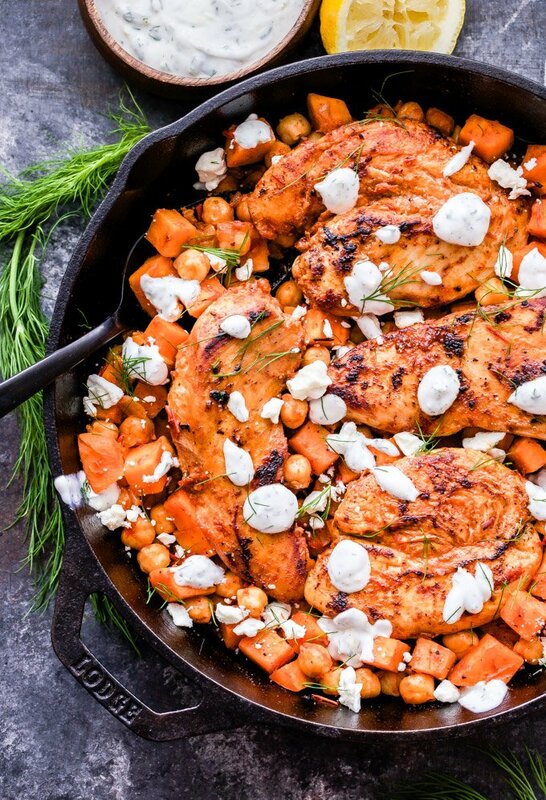 The chicken is sautéed first then put on a plate while you cook the onions, sweet potatoes and warm the chickpeas. More harissa, cumin and coriander are added in to create a sauce and then the chicken gets added back into the mix. 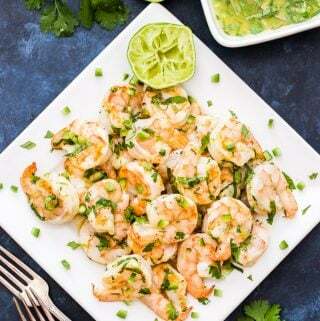 Squeeze fresh lemon juice all over the top, sprinkle on crumbled feta cheese and dollop the top with the herb yogurt sauce. 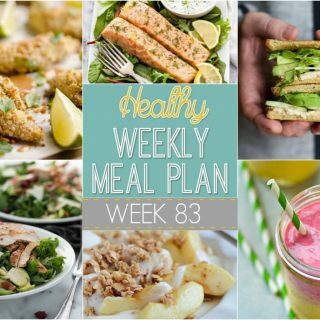 A simple, satisfying, super flavorful dinner to add to your weeknight dinner rotation! In a bowl of freezer bag mix together 2 tablespoons harissa, 1/2 teaspoon cumin and salt, 1/4 teaspoon coriander and black pepper to taste. Add in the chicken and coat it in the mixture. Set aside and let it marinade while you prep everything else. Whisk together all of the ingredients for the yogurt sauce and set aside or refrigerate until ready to serve. Heat a large skillet over medium-high heat. Swirl 2 teaspoons of olive oil around the bottom of the hot skillet to coat it. 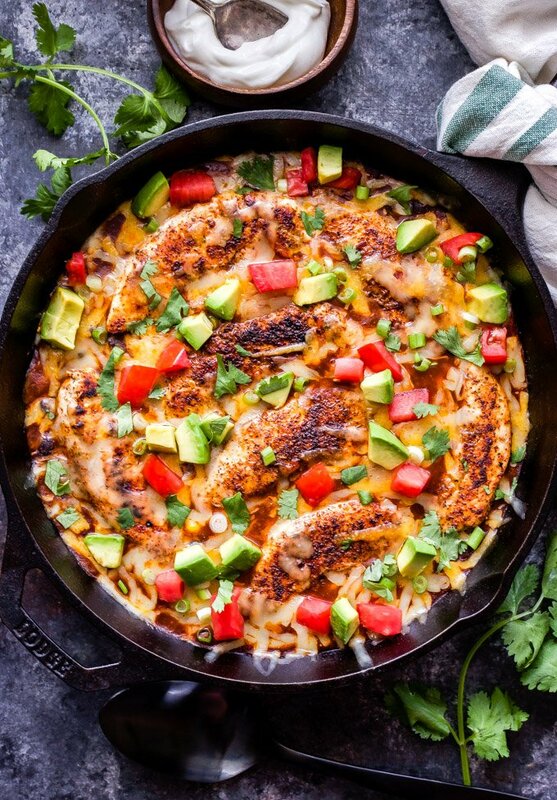 Add the chicken to the skillet and cook for 4-6 minutes per side or until the internal temperature reaches 165° F. Remove the cooked chicken from the skillet onto a plate and cover with foil to keep it warm. 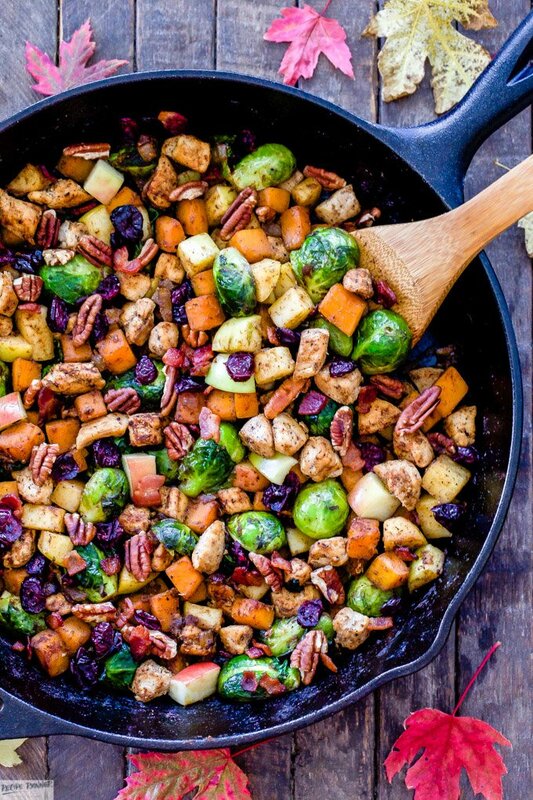 Turn the heat down to medium and add another teaspoon of olive oil to the skillet. 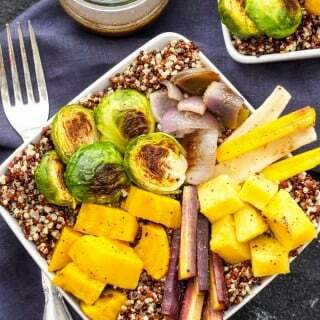 Add in the onion and par-cooked sweet potato and sauté for 2-3 minutes. Add in the chickpeas and remaining harissa sauce and spices. Stir together and let everything heat through for a minute. Taste for seasoning. Nestle the chicken back into the skillet and squeeze the juice of 1/2 of a lemon over everything. Remove the skillet from the heat and top with crumbled feta, the herb yogurt sauce and fresh dill. This sounds absolutely delicious! I love harissa, it is definitely one of my favorite ingredients to add to any dish! Loving this recipe.